As you’re preparing for a new school year it’s time to start thinking about your new Girl Scout year. What amazing things will your girls do? What new skills will they master? How will you connect with your families in a way that supports what your troop does? Wait, why are you talking about the family? This is a girl-focused organization, right? Right, but those girls come attached to families and the level of support and commitment a family is willing to give can make or break their daughter’s Girl Scout experience (and the experience of the troop leader as well). So how do we motivate our families to become active supporters of our troops instead of passive bystanders? How do we engage them in our mission? We’re so glad you asked. 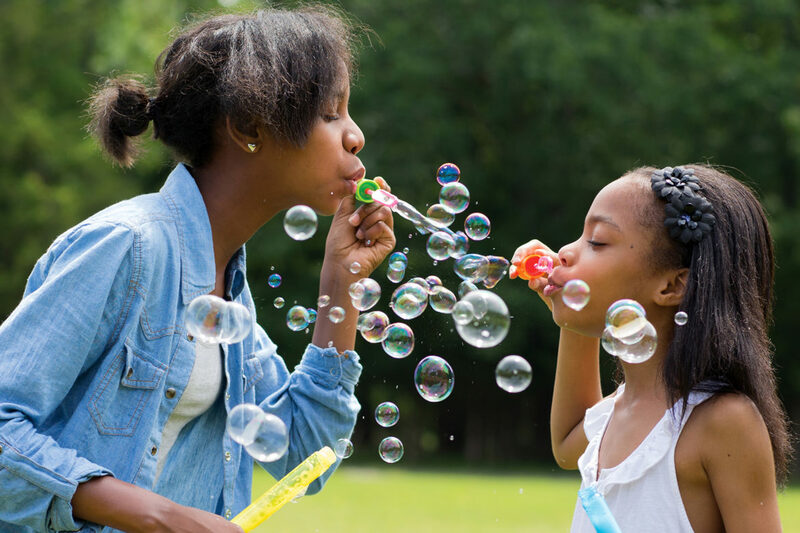 Here’s a few tips from veteran leaders and staff for connecting with your girls’ families to make this the most awesome troop year yet! Have a Family Meeting. Returning and new troops can benefit from these meetings as they give you the opportunity to establish mutual expectations, communicate the year ahead, make decisions about money, and share any support that is needed. As girls grow and take on more leadership and the troop volunteers step back more, this meeting helps parents be be aware of and support this important change. Plus, it is a great time to talk about “future plans” and get families thinking about their next step in Girl Scouts. Connect about Product Sales! For many families product sales can seem like just one more fundraiser to add to their full plates but for Girl Scouts this is how girls finance the activities and skills that they joined Girl Scouts to experience! So it’s important that families understand how the cookie and fall sale contribute to their daughter’s experience and benefit the troop.Inviting families to a goal setting meeting is a great way to connect the cookie program to the troop’s activities for families. Show them what she’s earned. Seeing what the girls accomplish is key for both parent and girl satisfaction. Sometimes girls (and families) forget all the skills, activities, and fun they’ve had over the troop year when summer comes. Help your girls remember how far they’ve come and show their families what they have learned or earned in Girl Scouts. One way to do this is through a ceremony like a Court of Awards or even adding a simple time at the end of a meeting that families are invited to see what the girls did/earned. Your troop does awesome things, show it off! Go beyond the troop. Activities outside of regular troop meetings and outings allow parents to see a broader view of Girl Scouts and many of these activities can also count toward badge and Journey requirements but many parents are unaware they exist. So share with your families opportunities at the council level, community partner activities, or activities organized by local volunteers (the circle or service unit level) that will allow families to connect with the organization. Make a communication agreement (that works for YOU and the families)! Please don’t force yourself to juggle texting the activity packing list to parents, managing an email thread, updating the troop Facebook page, and sending semaphore signals to that one parent who doesn’t do modern technology. While communicating with families is an important part of the volunteer role, you should set up an agreement with families (at the family meeting is best) on how they will receive communication and stick to it as much as possible to make a consistent and simple communication stream from the troop volunteers to the families. Utilizing the Volunteer Tool Kit‘s parent view to share the year plan and send regular communication via email is a great way to do this! So what do you think of our advice? Are you ready to start your new year off with excited girls and engaged families? With a little help from our tips and some Girl Scout gusto, we know you’ll make this your best year in Girl Scouts yet!